We often receive questions from our customers inquiring about the need of chimney waterproofing. Usually, we suggest that they do not apply chimney sealer, but instead to use a water repellant such as Chimney Saver. 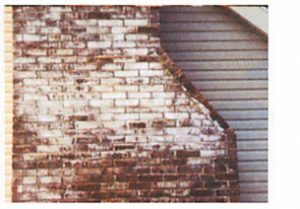 With the assistance of the professionals at Creative Masonry & Chimney, it is easy to prevent water damage to chimneys. Masonry chimneys often face the problem of water penetration and long term water damage because of high exposure to the elements. This can lead to white powdery stains called efflorescence. In some extreme cases, you may notice the face of the brick falling off. This is called spalling or erosion. Along with that, water damaged chimneys can also smell bad on warm, humid days. With our expert assistance, you will be able to prevent water damage to your chimney and keep it safe from the problems mentioned above for years to come. We use high-quality water damage prevention products like Chimney Saver which is a 100% vapor permeable water repellent that offers a 10-year warranty. 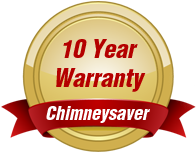 Our Chimney Repair Chimney Saver Water Repellent Experts will help you in making the right decision for your chimney. We’ll help you choose the chimney water repellent product that suits the type, materials, and shape of your chimney. Contact us today and we’ll send a team to your house for an inspection of your chimney and provide a quote for the cost of repair work. We aim at complete customer satisfaction and you can always rely on us to give you the best advice on the type of waterproofing that will be the best for your chimney.